A city full of romance, food, and history, what's not to love about Paris? Whether you're moving from New Jersey to Paris for your family, your career, or for an adventure of a lifetime, you'll need the help of capable and qualified movers. Simonik Moving & Storage has been a premier provider of high quality moving and storage services since 1977. 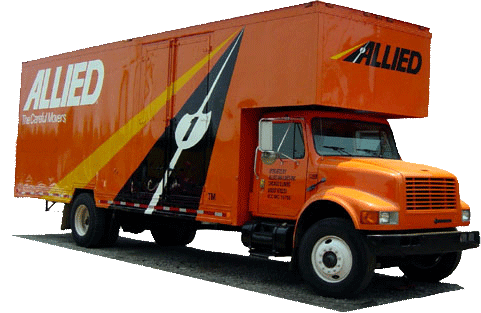 As a BBB Accredited business and award-winning agent of Allied Van Lines, we proudly offer customer-oriented moving solutions to meet your needs. To successfully complete your relocation, we are part of a global network of moving and storage professionals ready and willing to work on your relocation overseas today. If you're in need of storage solutions during or after your move from New Jersey to Paris, inquire about our comprehensive storage services. We will keep your belongings safe and secure in cutting-edge containers designed specifically for international transport. This offers the utmost security and precaution so you can have a successful moving experience. Our flexible storage services provide both short and long term solutions, meaning you can store with us for as long as your require in our warehouse facility. Simonik Moving and Storage services all of North Jersey including Hunterdon, Mercer, Middlesex, Monmouth, Morris and Somerset counties. You can have peace of mind that as ‘Mover of the Year’ award from the New Jersey Warehousemen & Movers Association, a Registered International Mover and a ProMover member of the American Moving and Storage Association, our moving company has the ability to guarantee your satisfaction with your moving experience. Our pros keep up to date with the latest moving techniques and technologies to complete your move from New Jersey to Paris stress-free. For a streamlined relocation that meets your needs and budget, contact the NJ to Paris moving experts at Simonik Moving and Storage today. Call us to speak with an International Moving Specialist and learn more about our services or fill out our online form to get your free moving estimate today!